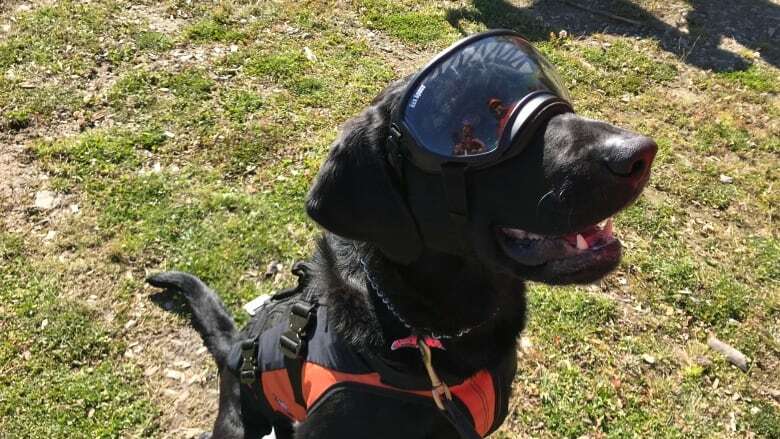 Rory the Labrador, kitted out in goggles, was one of 18 certified search-and-rescue dogs that attended a helicopter training session just south of Kamloops, along with 26 rescue crew volunteers. Riding a helicopter above B.C. 's alpine terrain doesn't faze Rory. In fact, the American field Labrador gets surprisingly bored. "He just sits there," said Janet Rygnestad, Rory's handler and a search-and-rescue volunteer. "I don't normally muzzle him because he's a pretty mellow dog." 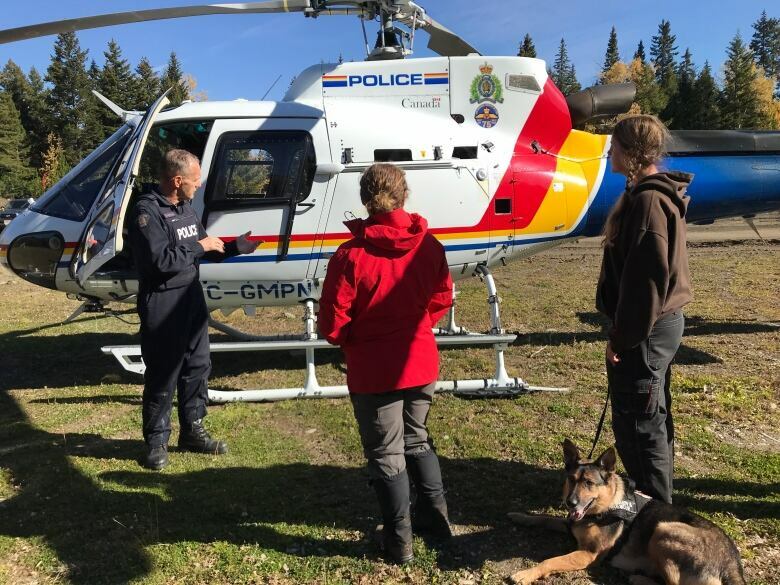 Rory was one of 18 RCMP-certified search-and-rescue dogs that attended a helicopter training session with the association just south of Kamloops, B.C., last Monday, along with 26 rescue crew volunteers. The training adds to the skillset of search-and-rescue dogs, which are employed in some of the hardest-to-reach places in B.C. This year, they've been used in 40 searches provincewide so far. To get to remote search sites, they often catch a ride in a chopper. But flying in a helicopter doesn't come naturally for most dogs. There's the thunderous whirring of the blades, for one, plus the dizzying heights. The association trains dogs of all ages — from six-month-old pups to 10-year veterans — twice a year, in the spring and fall. The sessions are meant to get them accustomed to all the noise and motion. The dogs also have to learn how to get in and out of the helicopter quickly. At the training session, Rory sported some goggles to protect his eyes from debris thrown up by the helicopter. "It means I have an extra hand free because I don't have to put it over his face," said Rygnestad​, noting that Rory has done up to 30 searches. She added: "It's pretty awesome to bring your dog to work."